"Free Calling for your Smart Phone"
Linq's App gets you Free International Calls to 3 Countries. You never need to pay, but if you do, many Premium Features open up: Worldwide calling from Rs1/min, Return calls and India calling when abroad. Designed for your 4G Smart Phone, currently Android is supported, with iPhone coming soon! Free International Calls to 3 destinations from your 4G Smart Phone. Call USA, Canada & landlines in UK for free. No payment needed ever to call free destinations. Other destinations, including UK mobile, start at Rs1/minute! PSTN backup: those you call can return your call - without 4G! Call unlimited to landlines and mobiles in USA and Canada. Call unlimited to landlines in UK. No payment needed ever if you only call free destinations. Android based smartphones with 3G/4G connection required. Calling via Wifi also works in most cases, depending on your router. Optional payment unlocks Premium Features! Calls to other destinations from Rs1/minute. Receive return calls (PSTN Backup) from those you call. Details below. Receive calls on phone numbers dedicated (Dedicated CallerIDs) to you. Details below. Use the App to call India when travelling abroad. India calling will be automatically enabled. Payment into your account removes the restrictions on commercial use of your account. Payment accepted via Cards and netbanking. Those that you call can return your call on the shared callerID they see. They can call any time in the future - upto 6 months later! Once they call you back, they can keep calling you for ever. India rates apply for return calls. See tariff below. Dedicated callerIDs at additional charge available from 51 countries that forward to your phone. Dedicated callerIDs are phone numbers in other countries that land on your phone in India. Each Dedicated callerID has a monthly charge starting Rs250. Each call forwared to your phone is charged at India rates. See tariff below. Can be any type of phone - even a landline. Dedicated callerIDs available from 51 countries that forward to your phone. No need for an Internet connection or 3G/4G service to receive calls from Dedicated CallerIDs. Restrictions on commercial activities do not apply to paid accounts. Fair usage policy of 200 free calls or 1,000 free minutes per month, whichever is lower. You can call India only when travelling, not when located in India. Please register at our site by clicking on the registration link. On registration you will receive this link to download on your phone. Please install the App on your phone. 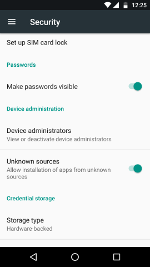 You need to enable "Unknown sources" (Settings->Security) in your phone to install it. This is required because the App is not launched in Play Store. Also when the App is started for the first time, it asks for permission to access the phone's contacts, location and record audio. Please do the same for proper functioning of the App. 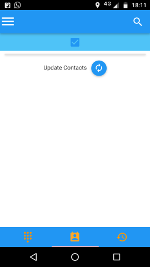 Sync phone contacts: Click on the contacts tab and then "Update contacts" to load your contacts into the App. 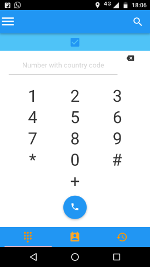 The App will add +91 wherever it finds a number without a country code, or with a "0" at the start. 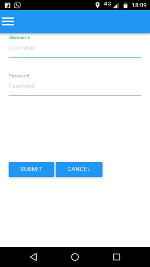 Use Dial Pad: You can also directly type numbers instead of using contacts. Please ensure that numbers are in international format, i.e. they start with the country code. You need not start with "+"